Hot off the comal, the fragrance of a fresh hot corn tortilla wafting around you, enticing you into taking that first bite of tortilla heaven. 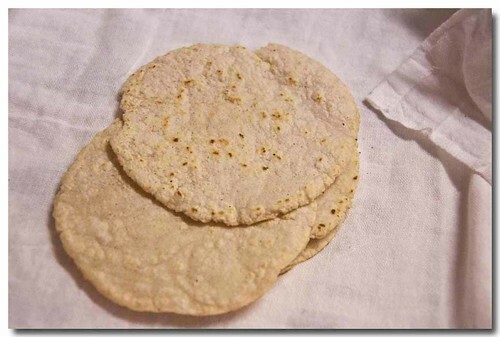 Sounds corny I know, but were talking corn tortillas, a little piece of heaven in your hand. I made these to go with the albondigas soup. 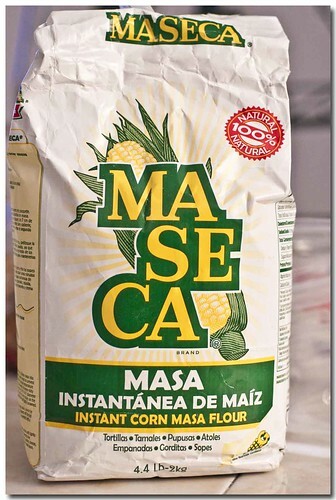 Grab your masa and let's get busy. When I first bring home any flour product I put it in the freezer for 24 hrs to kill any weevils that might have hitched a ride. It then keeps very well in the cupboard. 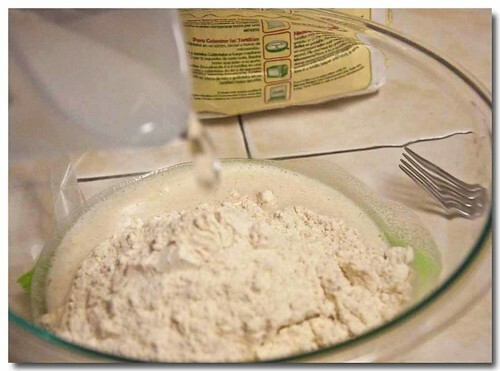 I keep it in a large plastic bag just because I don't want flour dust all over my shelves. The recipe is on the back of the bag. 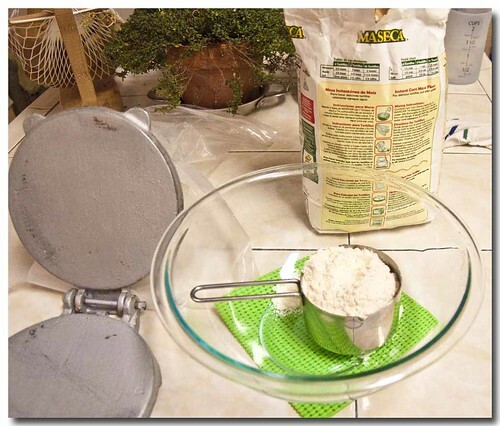 Two cups of masa (loose measure) and 1 1/4 cups water. I use warm water. 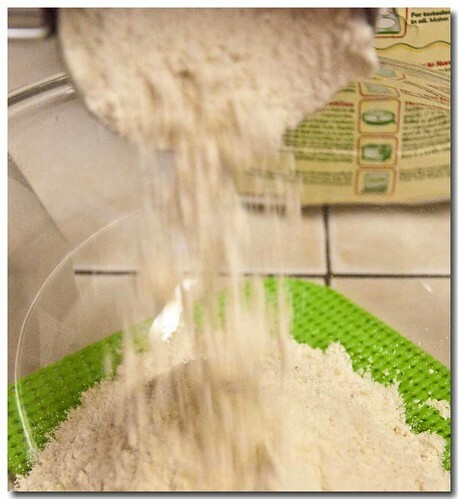 Mix thoroughly for about 2 minutes to form a soft dough. Here's how I do it. 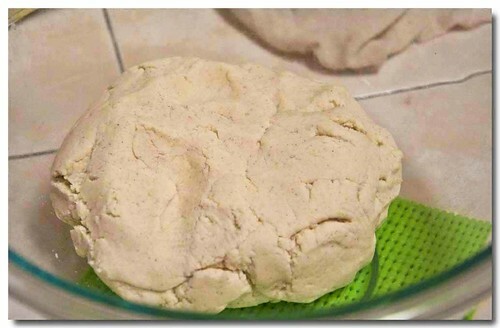 I put the ball of dough out on the counter and pat it out a little; then, using a knife or bench scraper cut the dough in half, then into 4ths then into...you get the picture. 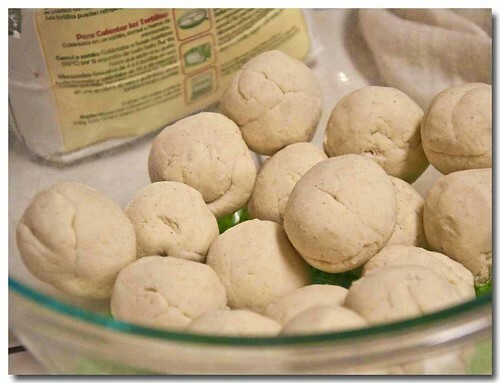 You will get 16 pieces of dough that are roughly equal in size. 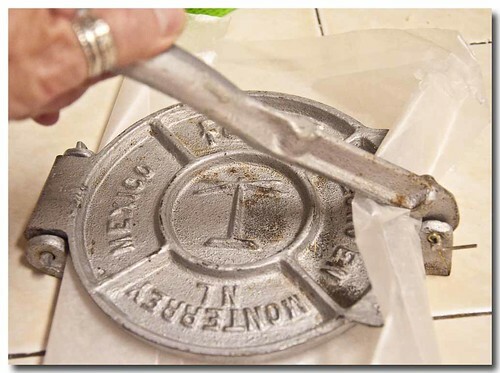 Start heating up your comal or griddle. 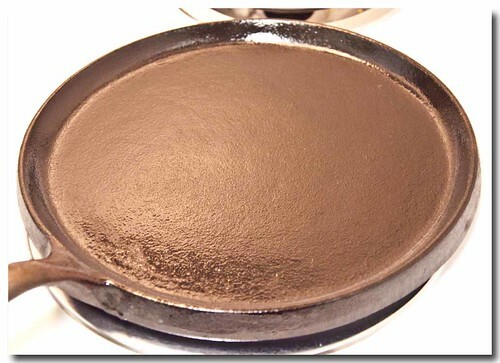 I love this cast iron griddle. I've had it for so long I can't remember not ever having it. 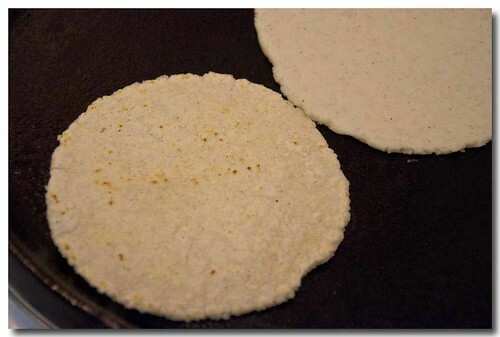 While the griddle is heating up start shaping the tortillas. 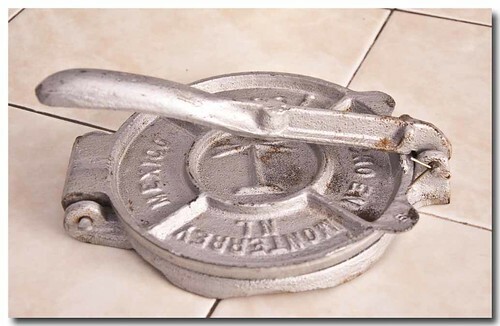 I hope you are lucky enough to have a tortilla press. Yes it's old. I've had this as long if not longer than the cast iron griddle. 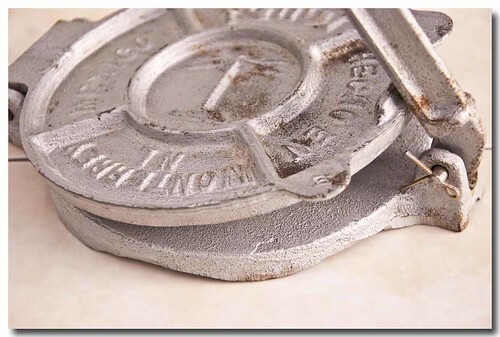 It's made of aluminum and it's heavy, 4 1/2 pounds of heavy. These can be found at just about any Mexican market and on line. 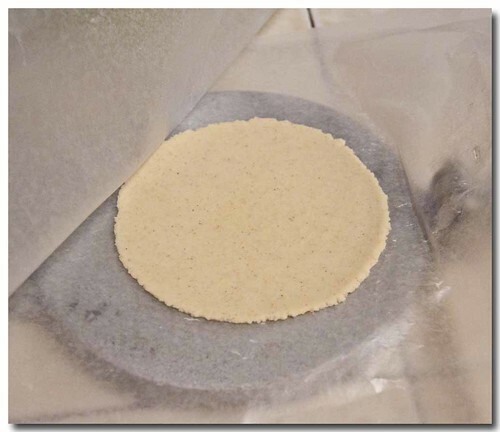 In the meantime, if you don't have a tortilla press, just roll them out between two pieces of waxed paper. 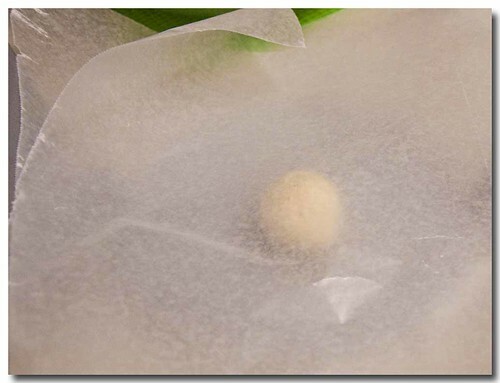 and cover the dough ball with another piece of waxed paper. 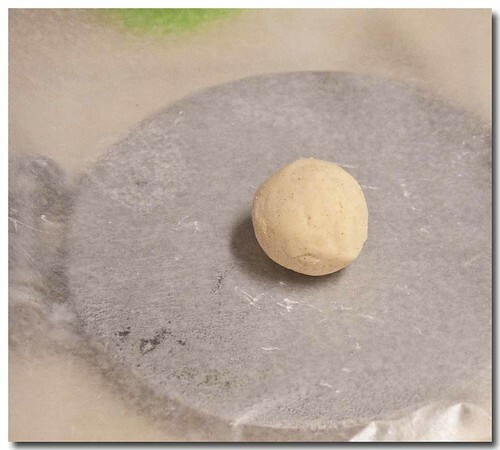 Make sure the dough ball is centered. 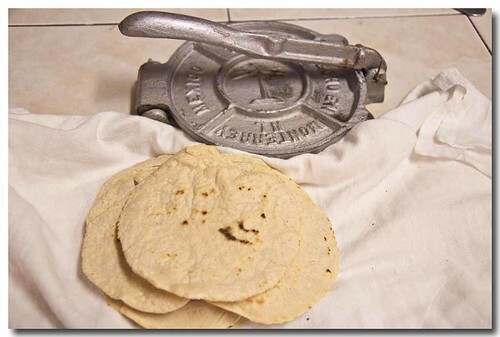 Put the top of the tortilla press on the dough ball and using the lever, press down really hard. Tahhh Dahhhh a perfectly round corn tortilla. Slap those babies onto a hot griddle until they are cooked and taking on a little color. Cover with a tea towel as they come off the griddle. As I'm pressing and cooking the rest of the dough, I snack on a few that Ive buttered and lightly salted, OMG.